Guess Who’s Speaking at the Southern Africa Women and Sport Consultative Meeting? Which Countries are stepping up to the challenge of addressing Violence Against Women in Sport? Just 6 Days before the ground breaking meeting that will bring together for the first time major players in sport in Southern Africa to specifically address violence against women in sport. Click here to see which countries and organizations are stepping up to the challenge of addressing Violence Against Women in Sport. 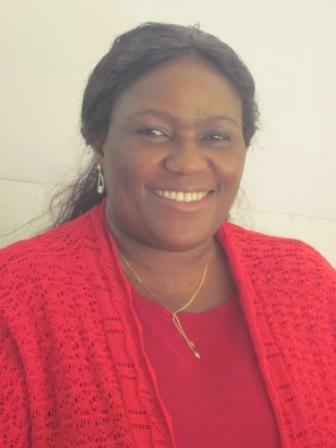 We celebrate the appointment of Ms. Matilda Mwaba, Founder and Executive Director of NOWSPAR to the position of Co-Opted Expert in Women and Sport in Africa to serve on the International Working Group on Women and Sport (IWG) Steering Committee through the end of 2011. The IWG is an International independent coordinating body consisting of representatives of key government and non-government organizations from different regions of the world whose vision is to realize a sustainable sporting culture that enables and values the full involvement of women in every aspect of sport. Over the last few decades the IWG has played a significant role in driving the agenda of women and sport forward and mobilising the global women and sport movement. In the strategic focus for 2010 – 2014, the IWG intends among other priorities to enhance the engagement of the women and sport community in Africa. Cooption of Ms. Mwaba is one step in this strategy; Ms. Mwaba will play an important role in bridging the connection between Africa and the IWG. Sharing experiences and inputting into strategic decisions. Read More about this on the IWG Website. Ms. Mwaba participated in the NGO CSW parrallel to the UN Commission on the Status of Women in New York in February 2011. Read her report here.